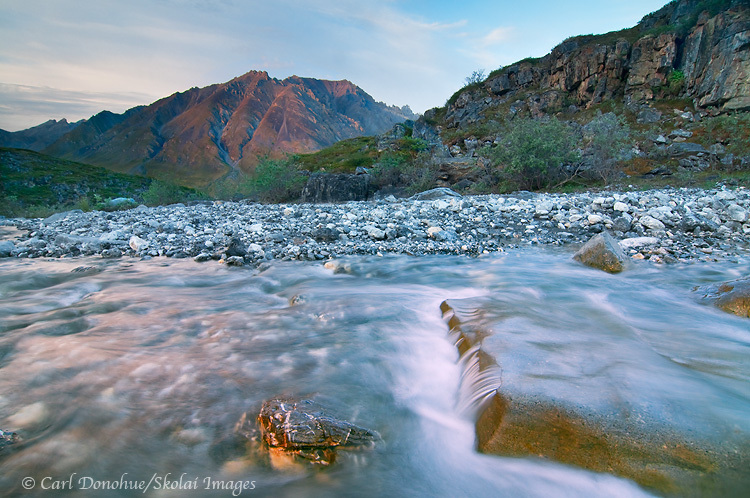 A flowing stream and tiny waterfall, near the Marsh Fork River, Brooks Mountain Range, ANWR, Arctic National Wildlife Refuge, Alaska. Please click the thumbnail to view a larger version of the photo. 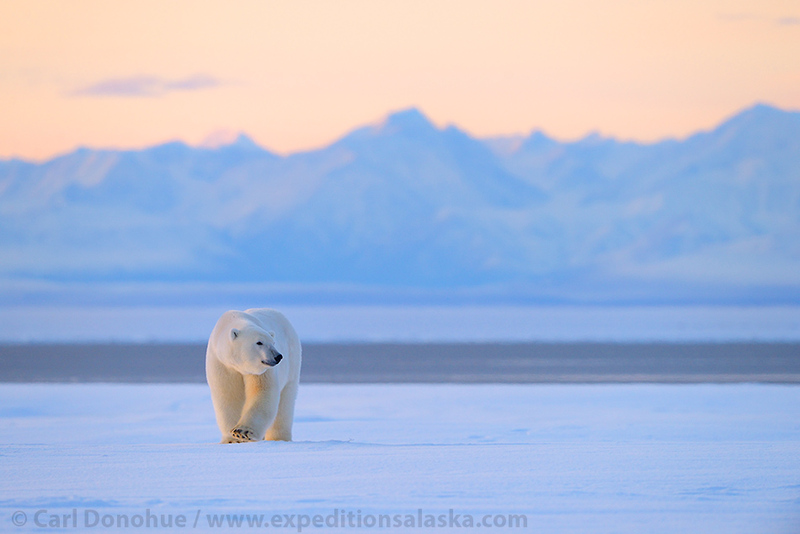 Wow – what a great trip we just had in the Arctic National Wildlife Refuge (ANWR); I rafted the Marsh Fork and the Canning River, through the Brooks Mountain Range and across the coastal plain to the Beaufort Sea, the Arctic Ocean, with a great group of folks. This photo was taken the first night of our trip, just a short hike from our camp on the Marsh Fork. It was pretty late, maybe around 1am or so, I can’t recall exactly. The trip was fantastic, thanks to some great weather, very few mosquitoes, good food and a really, really great group of folks. I wish had more time to write about the trip, and post a few more photos, but I just got back in last night and am leaving tomorrow morning for an 8 day backpacking trip in Wrangell – St. Elias National Park. 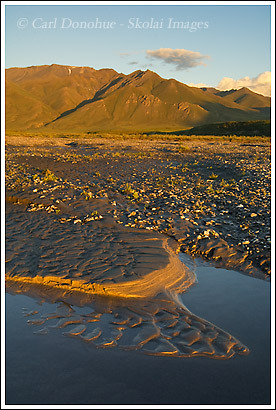 Until then, I hope you like this photo of the Brooks Range, ANWR. 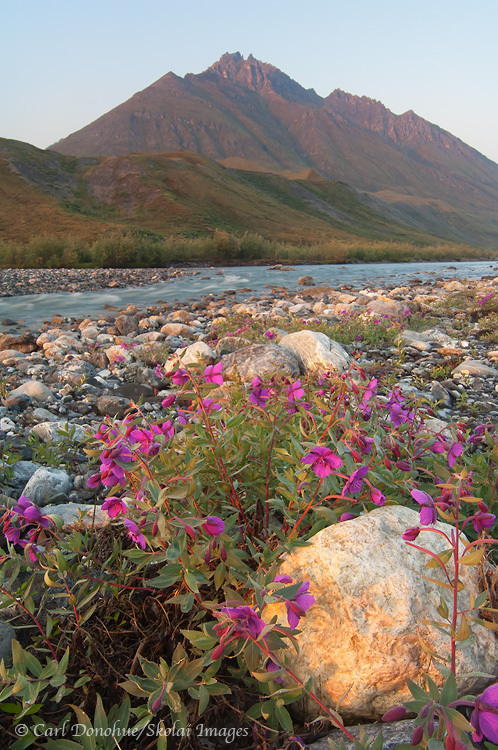 This entry was posted in Alaska, ANWR, Landscapes and tagged ANWR, Arctic National Wildlife Refuge, Brooks Mountains, Landscapes, scenics on July 12, 2010 by Carl D.